It's absolutely critical that you observe proper safety protocols while boating, fishing, crabbing or sailing. Simple accidents can turn into major tragedies when you're far from civilization. If you want to protect your passengers and prevent damage to your vessel, here are just seven tips for smoother rides and safer tides. 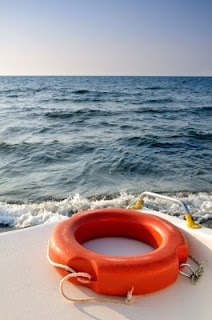 Make sure your boat is insured before you head out on the water. Not only will this protect you from liability if anyone is injured during your trip, but the right policy will also cover towing, vessel damage and even boat replacement costs. Coverage is available from boat insurance agencies like SkiSafe. In addition to things like flares, horns and spare boating equipment, you'll also want to double and triple-check that your personal flotation devices (PFDs) are fully inflated and ready for use at a moment's notice. Tell your passengers where they're stored. Seconds can matter when someone is drowning. Make sure the skies are clear for both your departure time and the hours you'll be on the water. Sunny weather won't mean a thing if it changes into a thunderstorm by the time you're miles at sea. Never go out on the water without telling someone back home where and how long you'll be. Most marinas have staff for this very purpose, but you can also share your float plans with friends, family members or anyone you can trust to raise the proper alarms if you aren't back in time.